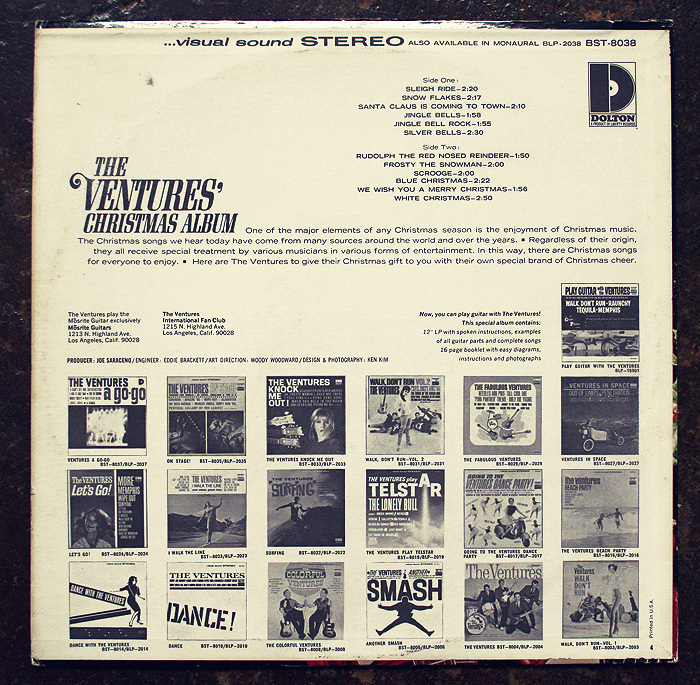 The surf guitar quartet that made the original ‘Hawaii Five-O’ theme song popular (“Walk, Don’t Run”) trades in the beach and sand in favor of snow and mistletoe with their ever-awesome renditions of holiday classics. These 12 traditional covers of your favorite all-time Christmas classics sound alive and fresh as ever, definitely helping to reinvigorate anyone’s holiday spirit should it be running a quart low. Album opener “Sleigh Ride” even gives you a brief taste of “Walk, Don’t Run” before tearing through the snow. 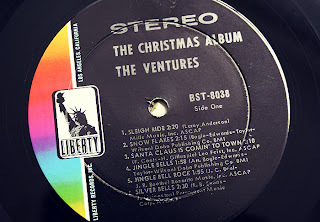 “Snow Flakes” and “Santa Claus Is Coming To Town” sound completely warm and inviting with bending strings and electric tremolo that they could be theme songs for a swinging television Christmas special. Nothing what-so-ever lacks in performance and excitement on this record, and most songs come in between two to three breakneck minutes per track. 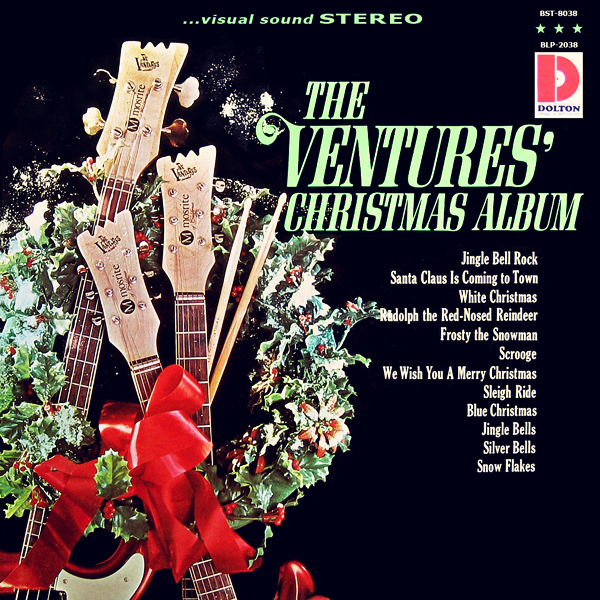 Even “Silver Bells,” which is usually one of the most solemn of the traditional holiday songs, has some get up and go, and some great country harmonica woven in for additional flavor. 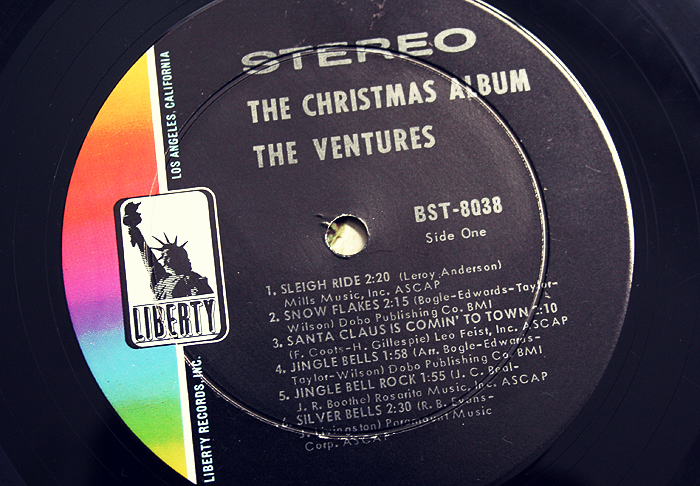 The Ventures tease listeners ever so slightly on “Rudolph The Red Nosed Reindeer” by throwing in a hint of The Beatles’ “I Feel Fine” here and there, while “Frosty The Snowman” mixes in a bit of The Champs’ “Tequila,” which now leaves me eager to hear a full cover versions of both songs. 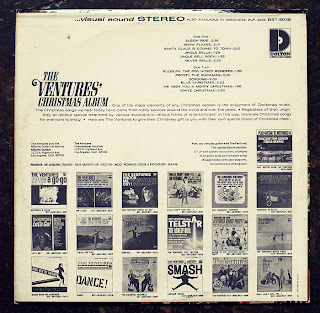 “Scrooge,” the only song with lyrics (though not many) wins out for ‘most awesome’ with its jungle beat and “Love Potion No.9” feel, a song that should definitely be heard in more department stores year-round. I’m sure some of you out there can get a little stressed out by all the holiday cheer going round like the flu. Then again, some of you might not be experiencing any holiday cheer what-so-ever, which is why The Ventures’ “Christmas Album” is what everyone needs this season. This entry was posted on Friday, December 16th, 2011 at 1:23 pm	and is filed under Music, Reviews. You can follow any responses to this entry through the RSS 2.0 feed. You can skip to the end and leave a response. Pinging is currently not allowed. Tomorrow, we're gonna pecker-slap those Globo-Gym bastards!